Happy New Year to all my friends on the firefly blog! First, let me say that WINTER GARDEN IS FINALLY OUT IN PAPERBACK!! Now, that I'm done with that, I know what you're thinking: I've been gone too long. What can I say? You're absolutely right. These past few months have been a real roller coaster ride. As many of you know, my son came home for Thanksgiving, and as always, we had a great time together. This year was a big one at my table--lots of cousins, aunts and uncles, and friends. I was especially happy to host my brother and his family (whom I adore). All of that cooking and shopping and table-setting paid off big time. For those of you who are interested, I stumbled across a KILLER sweet potato recipe. If you're interested, I'll be happy to share. Then, of course, in the blink of an eye, it was December. You know what that means: the holidays. More cooking, cleaning, shopping, wrapping, and planning. My immediate family spent the holiday--as usual--skiing in Northern Idaho. The weather was flawless--bluebird skies, feet of new snow, and short lift lines. We had an absolute dream of a time. The only problem was that I spent most of the week trying to keep up with my twenty-three year old son (until his friends showed up en masse). I don't know if you've ever tried to ski all day (and I do mean all day) with a twenty-three year old who got new skiis for Christmas, but I can tell you it is HARD work. One steep black diamond run after another. I would just catch up with him and he would take off again. Advil became my best friend. Finally, his friends showed up and my role changed. I didn't have to keep up with the kids anymore, I just had to feed them. And feed them. And feed them. And oh yeah, mom, Ryan is a vegetarian. :) What can I say? It was crazy and madcap and I loved every minute. Now, though, the holidays are over, and life is coming slowly (or not so slowly) back to normal. We are home again (nice title, don't you think? ), our son is flying back to sunny So Cal even as we speak, and I have control of the remote again. :) I am back to work, writing. Or, well...kind of writing. I'm actually editing. I read the 150 pages I had written (the fourth draft) of the book for 2012, decided it was BORING, and threw most of it away. So, yes, I'm starting again. Sigh. The biggest news is that Winter Garden is finally coming out in trade paperback. I'm really excited about this, because I know how many readers--and book clubs--have been waiting for this day as much as I have. As you know, I talk to book clubs via speakerphone, and I can't wait to start hearing from clubs who have chosen Winter Garden in paperback. Don't be shy. And now, for the secret part of this blog. I do a lot on facebook these days, but this blog will always have my heart, so here it is: a secret giveaway. On January 6th, I will give away a signed copy of Winter Garden to someone who comments on this blog. I will close my eyes, pick a number and choose one of you to win a copy of the book. Good luck! I just read about your writing in the Costco Connection and can't wait to read your books! I'm an avid reader and am setting up a book club, so maybe we'll hear from you one day! I'd love to "win" your newest book. Sounds like a wonderful Christmas! Kristin, I can't wait to read this book! I just finished True Colors and couldn't put it down! I am a huge fan and can't wait to see where you take me next!!! I haven't skied all day since I was a kid. Plus, we ski western Maryland so it's not a huge, challenging mountain. My parents have a ski in/ski out house. We skied a couple of hours over Christmas, but part of that time was spent introducing Little Miss to skis (video on my blog - princessapr.blogspot.com). Christmas was still a zoo with parents, aunt/uncle and 2 teenage boy cousins, sister and nephew and the 3 of us. The boy had a bad gall bladder attack all Christmas and just had surgery yesterday. So, it's been a little hectic with us trying to take care of him and Little Miss but the parents and inlaws have been helping. Looking forward to 2011 as lots of good books are coming out! Thank you for the chance to win Winter Garden signed by you personally! I have truly enjoyed each of the books I have been able to find by you. I started with True Colors (still one of my fav's) and can't get enough. I'm a high school English teacher, and many of my students can't get enough of your books. I'd love to win a copy for my classroom library. Have a great New Year! I'm sure I speak for many when I say we'd love the killer sweet potato recipe. Your trip sounds great. I wouldn't be able to keep up and I used to ski a lot. Now, I'm quite nervous about breaking something...like a limb or worse. I'm sure I'd be so sore. What is everyone reading? Currently, I am reading Elizabeth Street and I cannot put it down, yet I don't want it to end...a sign of a great book. Kristin!! I am reading Winter Garden right now, and I am truly amazed at how you can consume me in a book! The first book I read of yours was Firefly Lane a few years ago. It to this day is still my favorite of all the novels I've ever read. I love when you go back in time and write with such fun detail. Thank you for taking me to different emotional places when I read your work. You let me leave my world behind for a while... which is a good thing sometimes when you have a 15 and 12 year old. :) Have a great 2011, and I look forward to your "not so boring" 2012 book! You have a real talent for capturing and holding the readers attention and following it through to the end. I'm currently reading Magic Hour, and have read most of your other books. I too live in the Pacific Northwest and love it as much as you do. Thank you for all you do. I'm glad you had a great holiday. I just finished your Comfort & Joy, and WOW. You blew me away. I absolutely LOVED the twist you threw in there. I can't wait to read Winter Garden!! I've read all of your books and can't wait to read Night Road. I would love a signed copy of Winter Garden. I would love to win a copy of this book, but if I don't, it's still at the top of my "to read" list. I would love to win a signed copy of this book. I can't wait to read Night Road!! I love your books!! Hi Kristin -- I keep up with you mostly on FB, but love to check out your site too. Looking forward to reading "Night Road". 2010 I made my way thru all your books, except "Comfort and Joy", so now I need to wait! Ciao! I'm so glad to hear your holiday season seemed to go so well! I can't wait to go out and get Winter Garden, but now I have to wait until January 6th ;-). Very excited aobut the 2011 and 2012 novels! I just finished reading Winter Garden and fell madly in love with it!! Can't wait for your new one!! Ohh, I am a very good secret keeper :) My eyeballs would enjoy, actually be thrilled, to read your Winter Garden. I loved Winter Garden and would love to win a copy that I could gift to a friend. Looking forward to reading your next book. Don't forget about us on your blog! Thanks to having a Kindle on the way to me I have been immersing myself in the world of books online and stumbled upon your name on Goodreads. I have added your books to my to-read list and my Amazon wish list. i just finished reading winter garden. so, of course, i am sending this through my tears. to say that your book moved me would not be enough. it changed something. i have been married to my husband for twenty years, best friends for thirty. when he came home last evening it was like i was seeing him for the first time again. the power of the written word. words matter. I just finished listening to Winter Garden on audio and would love to have a signed copy of your book for my library. Cannot wait for the next book! I was fortunate to win an Advanced Readers' Copy of your book "Night Road" and could not put that book down! That was the first of your books that I've been introduced to so far, and I would love to win "Winter Garden". Ooh, me me me!!! Thanks for the chance to win. You're amazing and I'm excited for more great works from you! Kristin, I love your writing style. I just found you as one of my new favorite authors and I can NOT put your books down. I love reading your books. I have been looking forward to Winter Garden and would love to win it. Family time is always fun and I love when my kids are here and their friends come over too..Best times ever!! Glad you had a good time. I loved reading about your holiday adventures. My son is away at college too and I love the time we can spend together. We spent Christmas in Lake Placid, NY and loved it. It was my first time seeing snow and it my expectations were exceeded. I was too afraid to ski, but I did take a bobsled ride and a trip on the lake on a dog sled. I was thrilled to be in the middle of a frozen lake. I loved reading Winter Garden and would love to read it again! I have to say my all time fave book is Winter garden! Thanks for a great story. So glad to hear you had a fun vacation and holiday season with your family. We're in beautiful Kaneohe, Hawaii, so skiing was not in our plans!! I'm almost finished with Summer Island...love it as I do all of your books. Come back to Hawaii when you have a chance! I have been reading your books for a few years now and have enjoyed every one of them. I have introduced my sister to you and she also enjoys them. I am in the process of reading Winter Garden which i have borrowed from the library but would love to have a signed copy by you if i am the lucky one. I can't wait for the next book to come out. I am glad that you had a very good holiday with your family and friends. That is what the holidays are all about. I am following you on Facebook which is wonderful so i will know what you are working on. Thank you for many years of wonderful reading. Sounds like you had a wonderful time! I love being with my grown kids, and often their friends. It touches a place in my heart that my children like to be with me and that we are friends aside from being family. Hope the new year is equally as wonderful coming up, for you. As for me, I am getting a new grandbaby in July, from my son who has been married 10 years - this is their first! Sounds like a great Christmas. I don't downhill ski; but we just bought XC skis for each other for Christmas; so looking forward to the snow. I've been checking for a new post for a long time, and can't believe I missed this post on Monday. 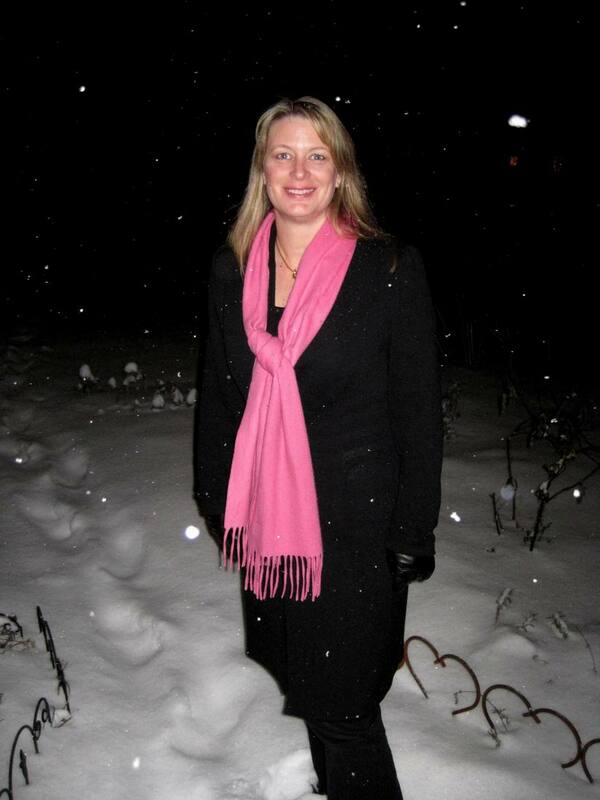 Kristin -- Glad you had a wonderful holiday season with family and friends. Boy has this blog now grown! Would love to know what "Room" is about if that's you favorite pick this year. LOL when I read you tossed your manuscript out because it was boring! Author Caroline Myss deleted a complete book she'd written, her editor nearly had a heart attack, and what she ended up writing turned out to be one of the her most important books --"Entering the Castle." So, I expect that will happen for you. Hope to finally meet you in the New Year! So many good things going on in my life! Would LOVE the sweet potato recipe! Post it? So glad you had a wonderful holiday too! I loved reading your blog! Sounds like you had a wonderful holiday! I am an avid fan of your books and love your Facebook page! 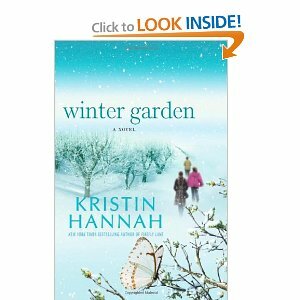 Winter Garden is one of my top five favorite books for 2010! Thank you for yet another great story...as well as a historical learning experience. I discovered your writing last February. I read True Colors and within a month I had bought all the rest of your books and finished those that month as well. Amazing writing! I just received a Kindle and would love to win Winter Garden. I would love a chance to win, thanks. glad to hear your holidays were nice, mine were spent sick, now is recovery. ps a good book is just the cure. But how do I contact Kim Fisk? GRRR!! I missed it AGAIN :) Ok, I need your Killer Sweet Potato recipe... And BTW, I'm catching up with your faves of 2010... especally ROOM. Can't wait, can't wait!! I know Kristin already knows this. I gave away Firefly Lane and my friends informed me that they hardly read. So I say, what kind of friends are THESE??? Hope you're all enjoying January and see you in a little bit. Kristin, hope I finally get to meet you this year. Oops. Clearly I must return to checking here daily. I missed it--(today's the 7th)! Glad to read that the holidays were full of activity, excitement, and love for you Kristin! Your son probably disagreed with the "sunny" description when he got back to us--it's been an unusually damp December/January--but yeah, I know I'm spoiled with our weather. I suppose you guys noticed that "Water for Elephants" is soon to come out on celuloid (movies *are* still "film" aren't they?)? Was it April and Kristin who'd read that? I listened to the audio which was done quite well. Congrats again on WG in pbk. & happy new year! Congratulations, Jessika!! When you get a chance, please send me your snail mail addy to kimberly@kimberlyfisk.com. Congrats again! Reading your blog is like hearing from an old friend.Thank you for sharing with us. I love sweet potatoes and love to get new recipes. So (killer sweet potato recipe sound even better)! Hi Kristin! Just started reading your blog...will make sure I do often! I love your books...right now I am reading Magic Hour! It is hard to put down, just like all of your books! Looking forward to your new one coming out!I would love the sweet potatoe recipe! This is my first time on your blog and I am a huge fan! My friend Erin and I have our own two person book club.... We read True Colours and fell in love with it; it was the start of our love for your writing! I have read the majority of your books and have even got my Mom reading too! I hope that I get picked so I can have a signed copy of Winter Garden! I already have a copy of it and have read it, but it would be very special to get it with your signature. Too late for the giveaway.. But I would like that Sweet Potato recipe if you would be so kind! I have listened to WG at least twice and loaned it out to my mom and aunt as well. We all BALLED big huge tears several times. This book was just phenomenal. I went to re-listen to True Colors and somehow the MP3 was destroyed with a HUGE scratch on it. The scratch was so bad that it rendered the MP3 unplayable..I am on the lookout for one so that I can replace it. I am SO totally clueless about how this happened, but the scratch causes 3 chapters to completely disappear in hisses and spits and repeat/repeat/blip, blip, etc..
Firefly Lane is still intact though.. :) As are all of the others. Christmas was okay..not great.. not bad.. just different. I was out of work for 2.5 months due to an injury at work. Hence, no money to do anything with anyone. Depressing really. Anyway.. Not a lot going on.. Just went back to work about 2 weeks ago..Just long enough to get a full pay period worked.. It is SO stressful when one of the 2 incomes goes south even for a short period of time. Sooo, what was your 2012 book about since you destroyed it.. :) Firefly Lane, part 2, on the menu anytime soon? I just discovered your books a few weeks ago and LOVE THEM!! I am running out fast! I see you have a new one which I just put on hold at our local library. But I have 3 to read before then. I have recommended your books to a lot of my friends. They keep you interested the whole way through. Great idea Sewingthreads (the bookmark of notes)! I need to do that with Jane Austen--I'm forever mixing up Elizabeth Bennet with Elinor and Emma--and it doesn't help that in the movie an "Emma" plays Elinor! As a child, I was not a very good reader. In fact, I hated to read. I never would read a book for enjoyment. The first real Author I read was Jodi Picoult... then I got hooked on the Twilight saga :) Gotta love me some vampires once in a while.LOL Last week I went on a business trip and needed to get a book. SO I made a midnight run to a store to find a book and I found you. I read the backs of your books so I could find the perfect one... that was hard. They all looked great, but for some reason, I chose WInter Garden. I have never been moved by words they way your words moved me. I have never cried with such emotion as I did the last 50 pages. I took the place of a storyteller and sat with my family when I got home, and told your amazing story. My nine year old daughter was captivated at my every word as I revealed the mysteries of your book. Even my husband wanted more. This book was able to bring my family together. Thank you.I can't wait to read the rest of your books, and look forward to next novel. Thank you for your words. You are a new author to me. I just read Mystic Lake and fell in love! I look forward to reading the rest of your novels, however, I know it will be hard when I catch up. Waiting for the next book has never been easy!! Oh where oh where has Kristin gone..Oh where oh where can she be? :) We haven't heard from her since January 3, 2011.. And we are having Kristin withdrawal.. Yes, I know the last part doesn't rhyme..LOL.. I am just trying to get Kristin's attention! I hope you are sick or something. I don't think it has ever been more than 30 days between your blog posts..This one is right at 45 since we heard from you.. I hope that we see a new blog post soon..Please? It is 2:34 a.m. on Feb. 20th. I have just finished Winter Garden for my book club. I have submitted a hopeful request to have a conference call with you on the night we discuss your book. (March 3rd) I so thoroughly enjoyed your book. You are a master writer. You wove Vera's story so beautifully... I felt like Vera was in the room with me, telling me the story. I have a pile of tissues sitting on the table beside me. I feel lucky to be able to tell you how much your book moved me. This whole "blog" thing is wonderful. Tomorrow I will be heading to Barnes and Noble to purchase Firefly Lane... you have a new fan.